We can often be touched and feel sad when other people around us have problems. Maybe it’s our loved ones, family, relatives, friends, people we know and people we don’t know who need assistance or help. This feeling and willingness to do something, to try and help them, whoever they are, is a pretty good sign that you are an assistantial person. This is a skill that is of utmost importance in our life and in our evolutionary process. The ones who are used to do it know that helping a consciousness in need brings us good, positive feelings which can’t be achieved by any other means. We realize that helping others is one of the most satisfactory actions we can perform in life. So, assistance is good, or rather it’s great. But what if I want to assist people that are in Africa, for instance, or other places far away from me? What can I do if I can’t afford to donate money for instance? Are there other ways to assist them? The good news is: yes, it’s possible to assist people with your own energies, through the permanent energetic task, or penta for short. Penta is a multidimensional, daily, personal, energetic task that consists of a technical transmission of consciential energies (CE) from a person, assisted by helpers, directly to other people, in any place or dimension, physical or extraphysical. This means that you can exteriorize your energies and do a lot of assistance to people in need, no matter where they are or who they are. It’s important to mention that the practitioner of penta receives continuous assistance from the extraphysical helpers on a long-term basis or for the rest of their life. Penta is a kind of partnership, or work, that you assume for your whole life. It means that you will donate your best energies everyday, at the same time, for one hour. The basic technique is: Sit down or lay down in a confortable and safe place, preferably in a room reserved for this work. Tell your family or companions that you need to stay by yourself for the next hour (because you are doing your personal energetic task of donation of energies). Work with you energies for 5 minutes (see the technique of the basic mobilization of energies) and make yourself available for donating energies. Where there is assistance there are the helpers. The helpers will make your energies available to the ones in need, and with time and practice you will be able to perceive the different intensity and flow of energies and even the presence of your extraphysical helpers. You might ask: Can anyone do it? Can I start tomorrow? We need to know penta is an advanced assistance technique. It’s a kind of clarification task and commitment for your life. We need to ensure that we meet the criteria for being a penta practioner. You can read the details in the Penta Manual, written by Dr. Waldo Vieira (2011). In this manual you can find information about e.g. the technique itself, whether or not you are a potential candidate or if it’s a good moment for you to assume this task. Last but not least, when we are open and are willing to assist others we work like an extraphysical bait. This means that we might attract or captivate the consciousnesses in need of assistance and this might demand a lot of responsible actions and thoughts from us. So if you are available for the penta task and want to know more about it contact us at Reaprendentia. Watch a free course about bioenergies. VIEIRA, Waldo. Manual da Tenepes. Editares: Foz do Iguaçu, 2011. Available for download at: https://www.editares.org.br/livrosgratuitos?lightbox=dataItem-itj6dh1u Access date: Dec/21/2017. Reaprendentia is a non-profit organization managed and supported by volunteers. We offer information, courses, and workshops aimed at promoting personal experiences with non-physical realities and personal growth through learning. Stay in contact by signing up to our newsletter. We offer free lectures and courses regularly in Fort Lauderdale, USA. Sign up to our newsletter to know about courses in your area and be the first to know when articles are published. Eliane Wojslaw is a volunteer, instructor and researcher at Reaprendentia. Her areas of interest are critical thinking, parapedagogy and lexicography. She has a master degree in Language and Society, has been working with conscientiology for over 19 years and has presented classes in South America and Europe. Having techniques that you can apply on your own is very useful in clairvoyance development: coordinating schedules with others becomes unnecessary and it makes it easier to try it at 3AM, for example. This article presents a technique that you can apply "solo" and helps you to see your own aura. Visual clairvoyance can be experienced spontaneously or at will. Seeing the aura of a friend during a conversation or colors around someone else’s crown chakra during a healing session are examples of visual clairvoyance. We use various bodies - or vehicles of manifestation - to interact with other people and with the environment around us. This article describes those bodies and its relation with visual clairvoyance. The effects of the VS, both for the energy body and in terms of consciousness evolution. The vibrational state indicates a state of homeostasis of all your energies and chakras. 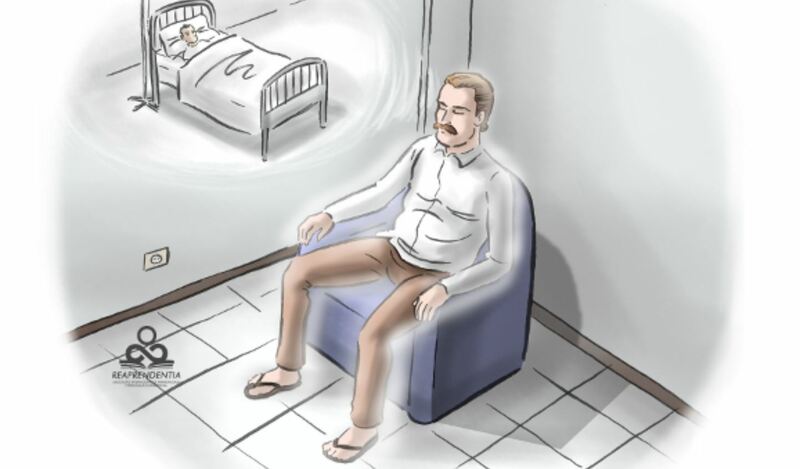 A very important effect of the vibrational state is that it disconnects you from external non-physical consciousnesses (or extraphysical consciousness, spirits, ghosts).